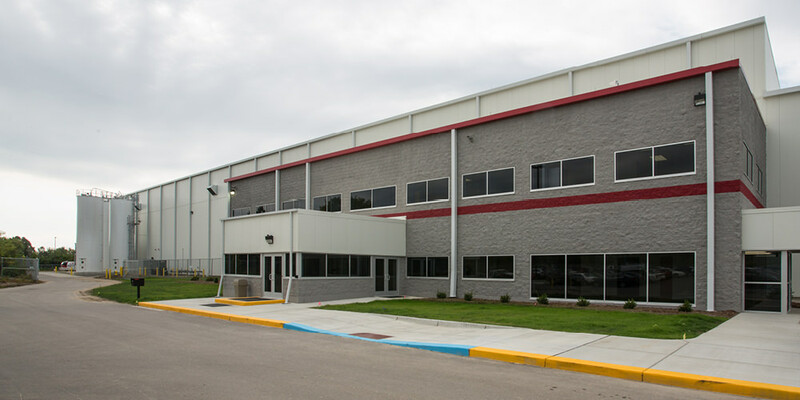 Norplas Industries, Inc., a manufacturing division of the Aurora, Ontario-based Magna Exteriors and Interiors, selected Granger Construction for its new state-of-the-art robotic paint line and injection molding manufacturing facility. Owner supplied equipment consisting of automated paint line, mold presses, and metrology lab equipment was successfully coordinated within the BIM model. The Design-Build project, one of the largest new manufacturing facilities built in the region in the past 15 years, was fast-tracked for completion in 13 months. Granger Construction self-performed approximately 7,500 cubic yards of concrete on this project.